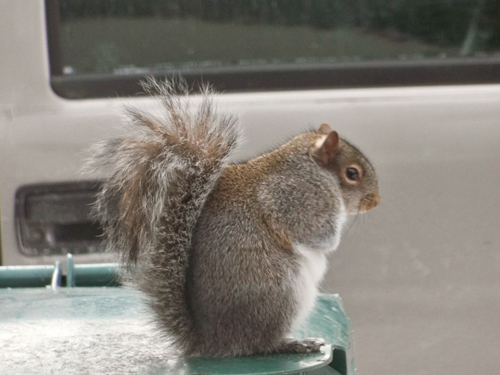 The squirrels in our new neighborhood are so chubby. Tina pointed out that they look more like chinchillas than squirrels. I can see it will be a battle over the bird feeders this winter. Fat squirrel picture post followed by an orange tabby post. Best sequence of posts ever! I know I'd look a little filled out if I was wearing a luxurious squirrel-fur coat.